The Jockey Club’s £45m redevelopment of its flagship Racecourse at Cheltenham increased capacity and provides state-of-the-art facilities. The re-development included the demolition of the original royal box (which was built in 1952) and 55 other boxes built in the 1920s and 1930s. GBE Fire and Security was appointed as part of the re-development programme by CF Roberts. 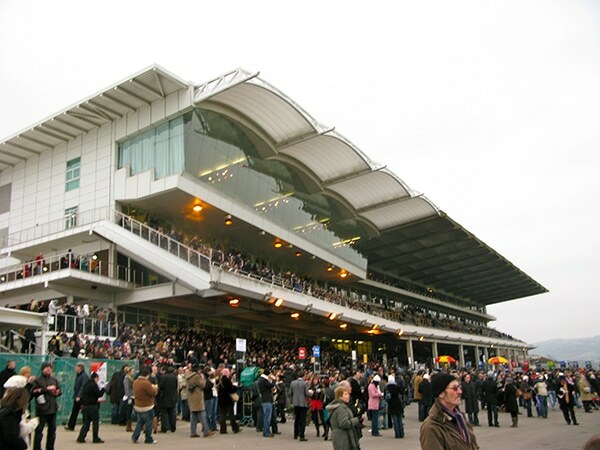 Included within GBE’s scope of works was the installation of the new PA/VA system, disabled refuge and WC alarms throughout the grandstand and new royal and private boxes. The Jockey Club’s objective is to have a PA/VA system that provides state-of-the-art evacuation messages throughout the venue and sound reinforcement for the comprehensive AV system. The technically demanding specification involved GBE performing extensive acoustic surveying and sampling to provide an accurate design suitable to meet the requirements. One of the key challenges was to design a PA/VA system that could integrate with the AV equipment to provide sound reinforcement to the large number of different zones within the new building. In addition, the works were undertaken whilst the racecourse was still functioning – so well-organised programming and disciplined working was required.